The Landice L8 is a step up from the base model L7 with a roomier deck and higher weight capacity, among other enhanced features. It is a commercial-grade treadmill, built to last and designed to give you the ultimate workout with as little impact as possible. The L7 features a rust-free aluminum frame and case aluminum rails and caps. It is completely customizable with four console choices and other options. 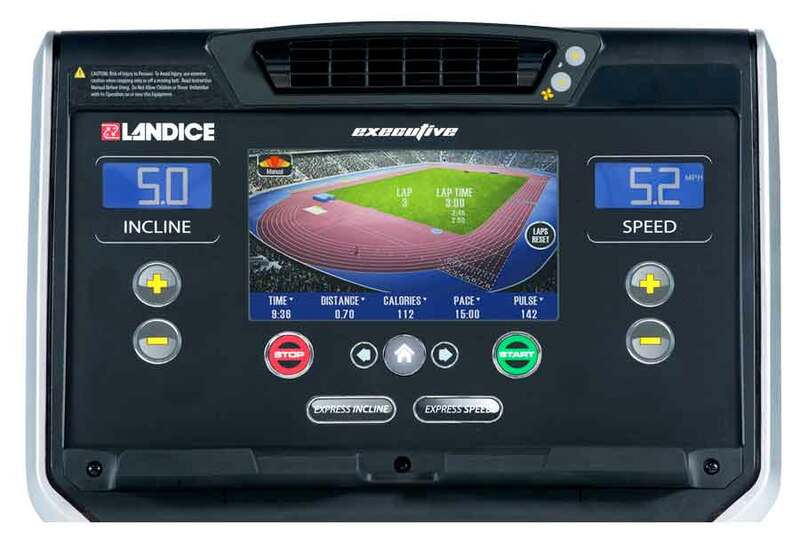 Landice treadmills have always received very positive reviews, as the company makes very high quality cardio machines that trainers and users rave about. A lot of research goes into the design of these treadmills, and the result is a rock solid product that will last for years with little to no maintenance required. The main difference between the L8 and the base L7 model is the size of the deck. The L7 has a 20" x 58" running area, while the L8 has a 22" x 63" running area...a pretty significant difference. So the L8 is the better choice for taller users, as well as more serious athletes and runners who might want a little more room to stretch out to make their workout more enjoyable. Other than that, the two treadmills are quite similar. Both have a powerful yet quiet 4.0 CHP motor, up to 12 mph speed and incline up to 15% to ramp up the cardio a bit and target different muscle groups. The Landice L8 has a solid, rust-free aluminum frame, VFX Shock Absorption System to minimize impact, 22- pound steel rollers and a 500 lb. max weight capacity, up from 400 lbs. on the L7 treadmill. You can choose from four different consoles, including the Pro Trainer, the Pro Sports, the Cardio and the Executive. As you move up the line you get more features and workouts, with the Executive console featuring a touch display. You can upgrade your shock absorption to Orthopedic Shock, which reduces impact even more than the VFX system, and you can also add the Landice Vision System, a 19" HDTV. The warranty on the Landice L8 is solid, as it is on the company's other machines. They will replace any parts for life, which is very reassuring and something you don't find elsewhere. Any negatives here? Really just the price, which can be up to $6000 with the top console. So these are not cheap, but you do definitely get what you pay for. it would be nice to get some more built in workouts, and perhaps internet capability, at least with the higher end consoles. But still, these are great machines backed by a great company. 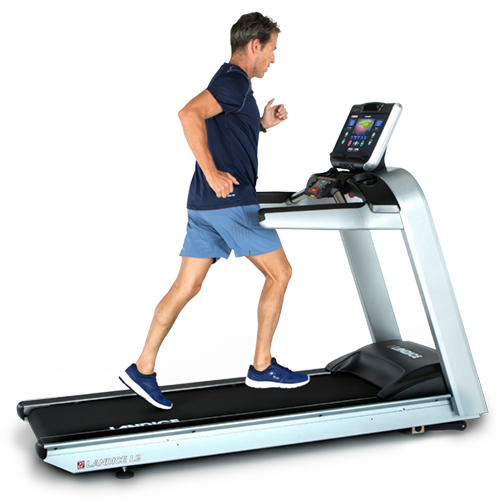 If you are a serious runner, or are very tall, and you're looking for a gym quality treadmill for your home, the L8 is definitely a good choice that you will not be disappointed with. Also check out our top treadmills in the $3000-$4000+ price range for some other good options to consider. You can save a little money with the L7, which will be just fine if you are not over 6' tall.